Charlie Dent, incumbent of the Pennsylvania’s 15th Congressional district, released his FEC financial report for 2011 on Sunday, Jan. 29. The report, a summary of the Dent camp’s receipts and disbursements for the past year, states that Dent received $186,290.00 in contributions during last year’s fourth quarter alone. Over the course of the entire year, Dent totalled $705,666.04 in donations. 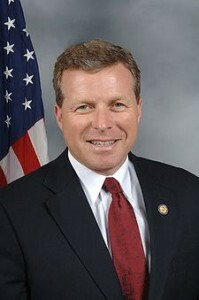 Also, the report indicates that Dent had $353,707.94 remaining on hand on Dec. 31, 2011. Congressman Dent’s new-found challenger, Jackson Eaton, also reported his financial figures from last year despite he announced his candidacy for U.S. Congress in mid-November. Eaton is a former captain in the U.S. Army, an Allentown native, and a lawyer who attended New York University School of Law. He also only recently crossed party lines, becoming a Democrat last November so that he could run against Rep. Dent. For someone who just recently came onto the political scene, Eaton’s fundraising is impressive. Eaton has raised a total of $94,569.84 since declaring his candidacy, while tallying $3,941.45 on expenditures. In turn, at the close of the reporting period, Eaton reported that he had $90,628.39 on hand.